Israeli forces suppressed Palestinians and activists protesting near the village of Ras Karkar, west of Ramallah, in the occupied central West Bank, on Friday, against the Israeli plan to seize hundreds of dunams of land in the area. 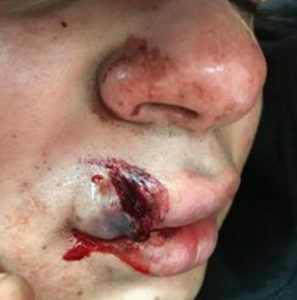 Locals reported, according to Ma’an, that Israeli soldiers fired rubber-coated steel bullets and tear-gas bombs to suppress protesters; one Palestinian was injured with a rubber-coated steel bullet in the face; he was transferred to the Palestine Medical Center for treatment. Many other protesters suffered tear-gas inhalation. Protesters had performed Friday prayers on lands threatened with seizure. During last week’s protests at Ras Karkar, Israeli forces detained three Palestinians and injured dozens of others, including a paramedic who was injured with a rubber-coated steel bullet when Israeli forces opened fire at a Palestinian Red Crescent ambulance.